Kim Kwang Chol (tagged) at a stamp exhibition in October 2015 (Photo: Korean Central TV). Kim Kwang Chol (Kim Kwang-ch’o’l) is Minister of Post and Telecommunications and an alternate (candidate) member of the Workers’ Party of Korea [WPK] Central Committee. Kim is also a deputy to the Supreme People’s Assembly. Kim’s first significant position was as director of the Central Information and Communications Bureau, under the Ministry of Post and Telecommunications, in Pyongyang. During his tenure he was part of a Ministry-wide effort of technological innovations including the extension of the fiberoptic network for DPRK telephones, the modernization of broadcasting equipment, the expansion of intra- and internet services and the introduction of the country’s domestic cellular telephone network Koryolink. 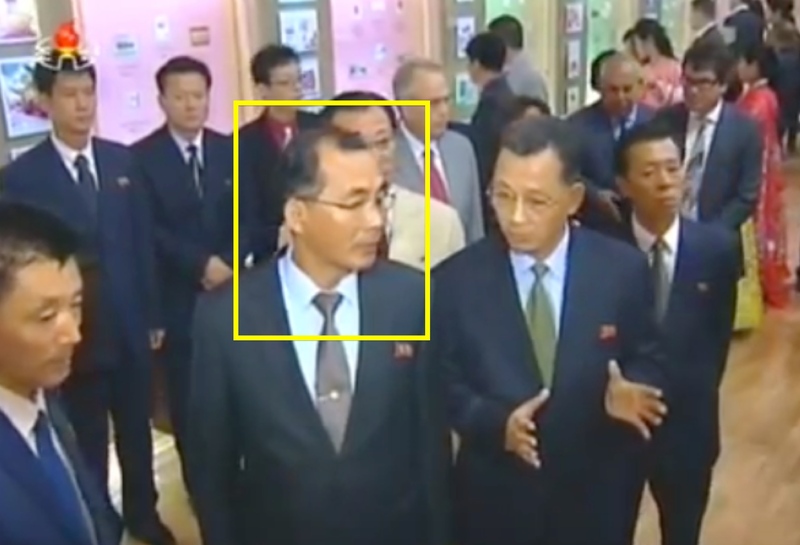 He was interviewed on DPRK state television news in 2007 about the Ministry’s efforts in disseminating the ideological teachings of Kim Il Sung. During his tenure, he was part of a successful effort to have the Central Information and Communications Bureau attain a Three Revolutions’ Red Flag. 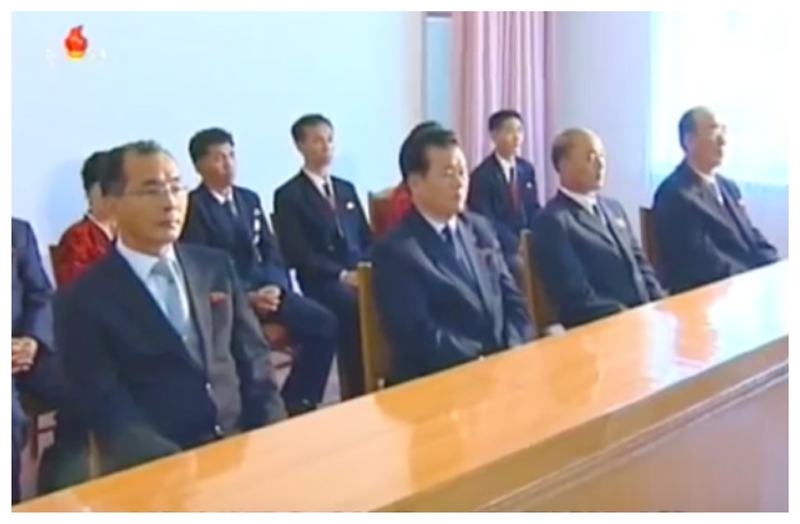 Kim Kwang Chol (left) attends an anniversary report meeting in October 2015 (Photo: Korean Central Television). Kim Kwang Chol was elected a deputy to the 12th Supreme People’s Assembly in March 2009. He placed first in a competition at the 28th National Science and Technology Exhibition. 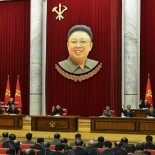 Kim was re-elected to the Supreme People’s Assembly in March 2014. In the fall of 2015, he was appointed Minister of Post and Telecommunications and presided over several events related to post, information technology and telecommunications. He was elected an alternate (candidate) member of the WPK Central Committee during the 7th Party Congress.